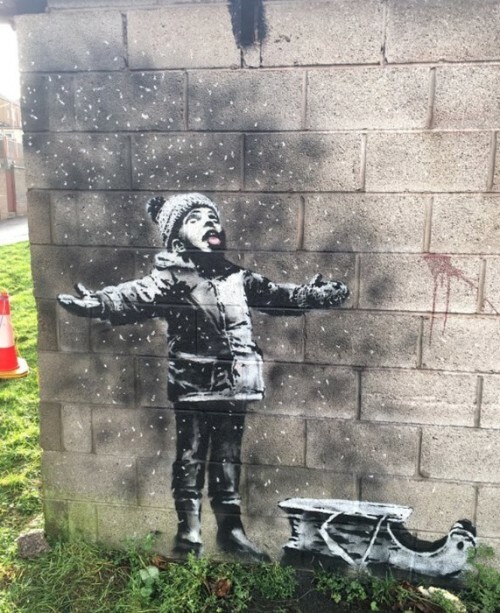 Banksy has confirmed that a two-sided mural on an out of the way garage in Port Talbot, Wales is his newest work. From one angle it appears to feature a child happily catching snow flakes. However, viewed from a slightly different angle it reveals ash falling from a dumpster fire. Commentary on a Brexit Christmas ? Or maybe just his take on the world this holiday season. 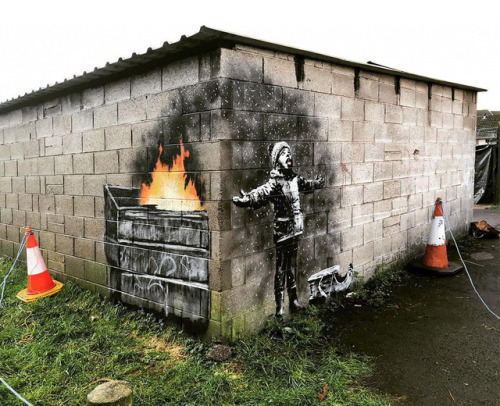 This entry was posted in Architecture, Art, Europe and tagged Banksy, mural arts, Port Talbot, Street Art, Wales. Bookmark the permalink. That’s SO Banksy! Merry Christmas to you 🙂 🙂 All the best for 2019, wherever it takes us.